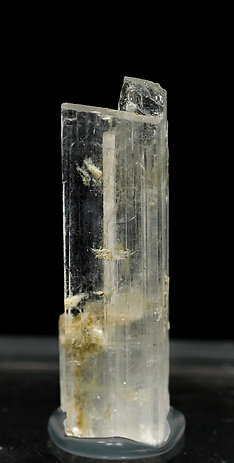 Parallel colorless transparent crystals, two of them clearly dominant. They have very well defined faces and edges and perfect smooth terminations. A borate that is quite infrequent in good crystals.